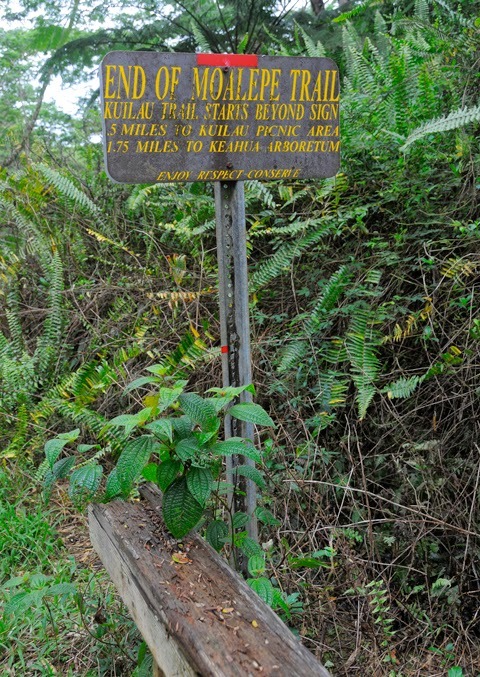 In the uplands of Kapa'a on Kauai's east side, the Moalepe Trail makes a 6 mile swath through the lush lowlands of Mount Waialeale and connects with the Kuilau Ridge Trail in the Keahua Arboretum. Piece of cake. Family walk. But if you stray from the trail, conditions become downright dangerous in a heart beat. Greenery at the edges of the trail in a couple of places disguises steep drop-offs, and everywhere the flora is just too dense to walk—and even if you could fight through it, staying oriented in that tangle is impossible. 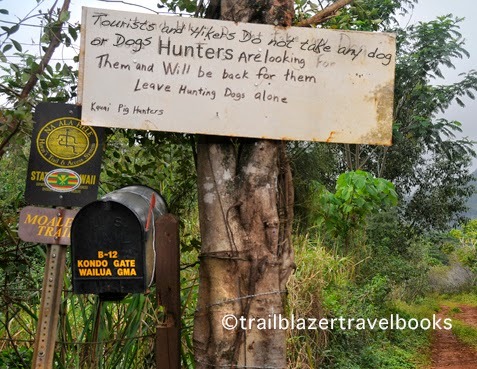 Even the hunting hound dogs have trouble finding their way out after chasing a wild pig into the bush. (Hunting is encouraged because the pigs destroy the watershed, and also because the critters make a tasty addition to a luau.) So, the word is, "stay on the trail," not so much to save a fragile ecosystem, but to save your skin. Having said that, hikers will encounter no danger on this beautiful rain forest walk. There are several options. 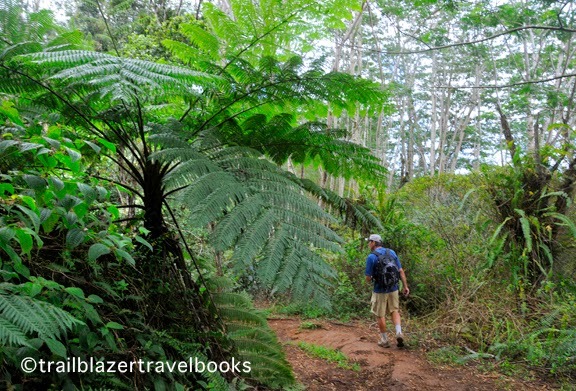 See Kauai Trailblazer pages 82 and 84.